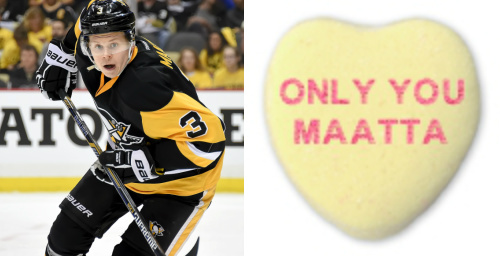 The candy hearts are a classic staple of Valentine's Day, and quotes don't get much more memorable than the classic Geno line "I am score". 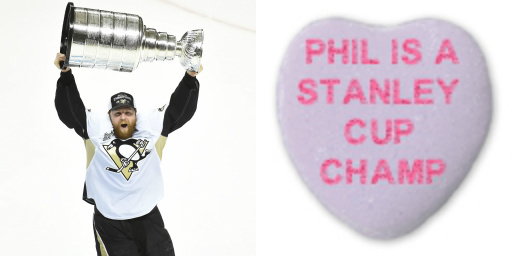 Phil Kessel is, and always will be, a Stanley Cup Champion. A simple statement of fact - that is his nickname. 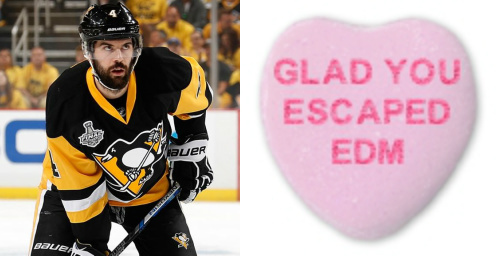 A farewell Valentine's to a fan favorite destined to play elsewhere in 2017-18. Given that he's tied for 5th in points from the blue line this season, this might be an understatement. There's gotta be that corny heart-felt message in their somewhere. After 12 seasons, 2 Stanley Cups, 3 Lester B. Pearson/Ted Lindsay Awards, 2 Hart Trophies, 2 Art Ross Trophies, a Rocket Richard Trophy, a Conn Smythe, and nearly 1,000 points, there's little question that he's still the best in the game.